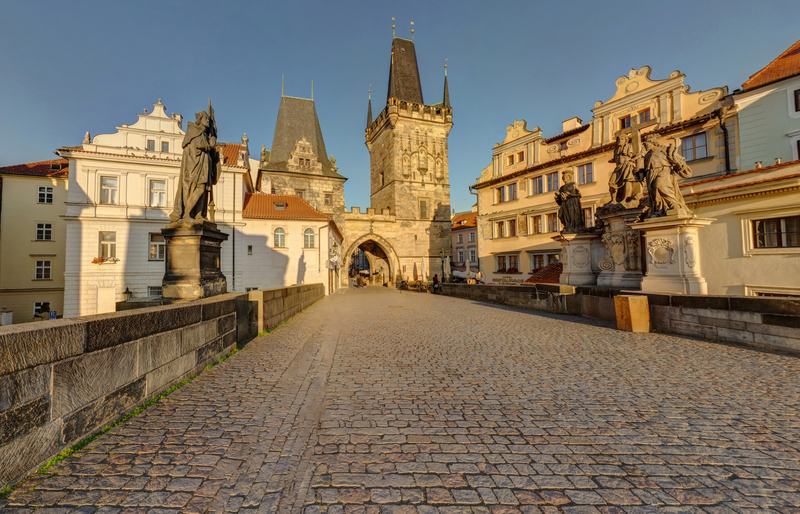 These two stylistically different towers, connected by a gate, form the entrance to the Lesser Town from Charles Bridge. The smaller tower is Romanesque, dating from the 12th century; its current Renaissance appearance dates to 1591. The taller Late Gothic tower, from 1464, is based on the architecture of Parléř's Old Town Bridge Tower. 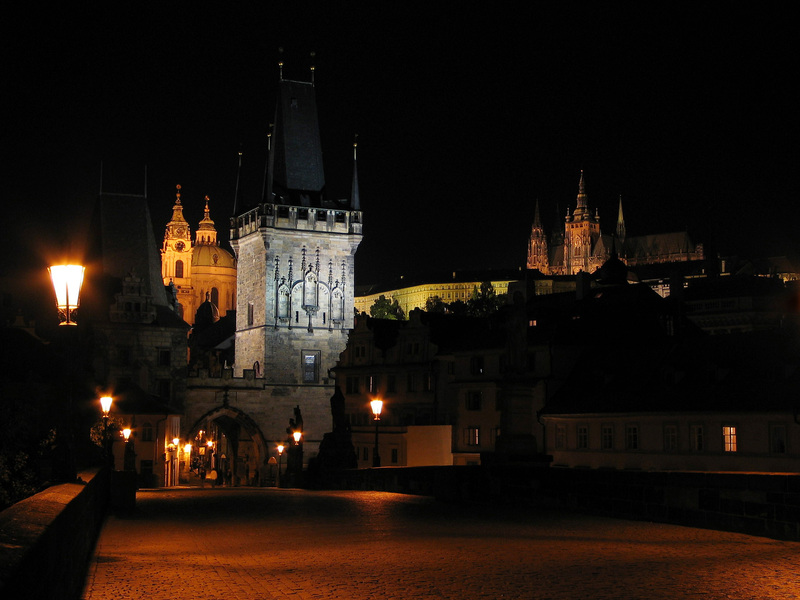 From its viewing gallery, you get a stunning view of the flowing Vltava River and the historical city centre. The lower bridge tower, also called Judith’s Tower, is Romanic in the core, with its origin probably in the beginning of the second quarter of the 12th century. It is probably older than Judith’s Bridge. It was built from arenaceous marl and it formed a part of the left-bank fortification. The remains of the rusticated plaster, window chambranies, gables and the roof date back to the Renaissance modification in 1591. In the beginning of the 15th century, a prison was established in the tower for the worst culprit. It served the purpose of the revenue office from the end of the 16th century until 1784. After that, it had several owners, and from 1893 on, it is the property of the city. The tower is not accessible to public. In the cellars, there is a preserved unique set of engravings from the mid-13th century, depicting human bodies, animals and weapons, an octagonal star, and a number of aristocratic coats of arms. A small house has been annexed to the tower, called the customs house. On its first floor, next to the entrance to the smaller bridge tower, there is a late-Romanic relief of arenaceous marl, which used to decorate the tower’s Eastern front, and until the 16th century it was visible from the bridge. At the end of the 19th century, it was coincidentally uncovered, and then hidden under the casing for another fifty years. In 1951, it was modified by the Museum of Industrial Arts, and in 1981 - 1983 it was restored by academic sculptor Jožka Antek. The relief, which was badly damaged already upon its discovery, is protected by a forward glass sheet. The piece’s origin and theme are disputable. There are two figures on the relief, nearly life-size: the ruler sitting on the throne on the right, and on the left a kneeling man, as if handing something over to the ruler, or accepting something from him. Among the most widely accepted ideas, there is the one denoting Emperor Friedrich of Barbarosa and kneeling King Vladislav at a moment when the Emperor is giving the Royal Crown to Vladislav. Another opinion offers the theme of adoration of Přemysl Otakar II. 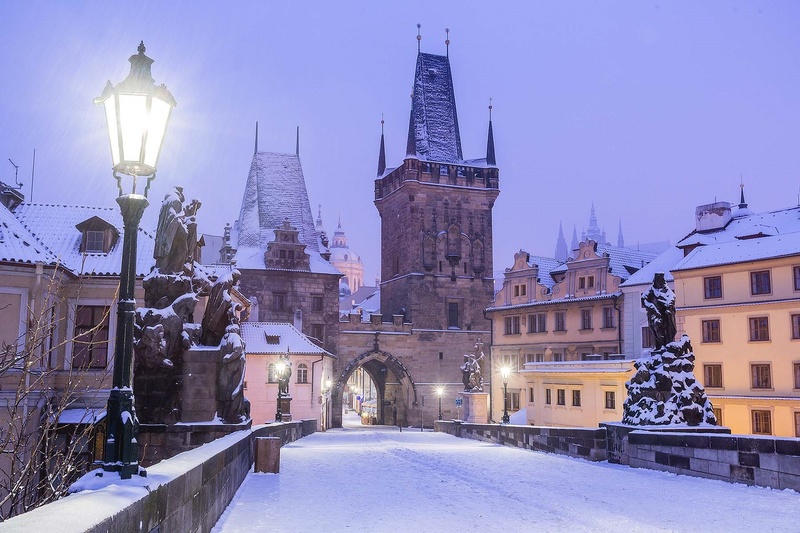 The taller bridge tower was built after 1464 at the expense of Jiří of Poděbrady in place of the older Romanic tower. Its appearance links up to the concept of Parléř’s Old Town bridge towers. Large sandstone blocks were the building material. There are prepared recesses on the tower, to which the installation of monumental statues was probably planned, but this was never realized. The tower was thoroughly repaired in the years 1874 - 1879 under the leadership of architect Josef Mocker. The tower was used as a warning post and a storehouse. The tower is 45 m high, without belfries and spires, but the gallery is 26 m high. It is accessible to public. 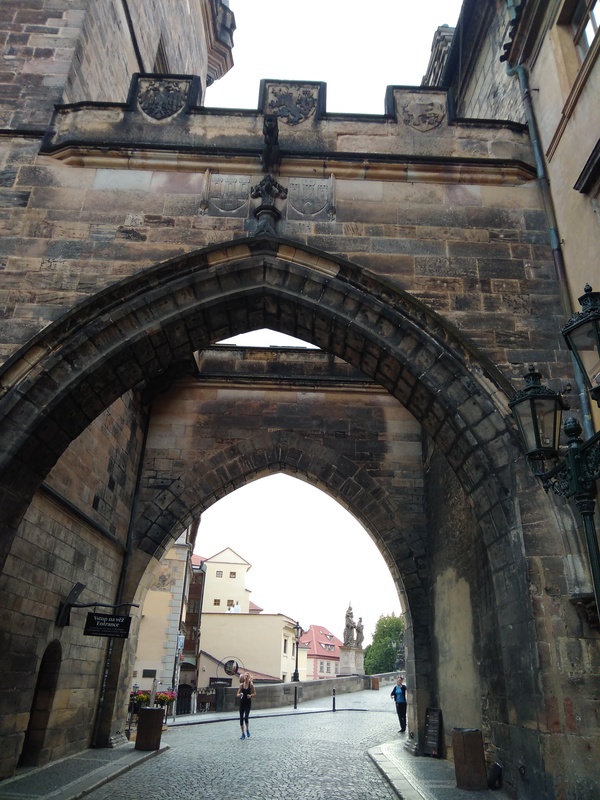 The gate between the towers is the entrance to Malá Strana. The gate has a backing with a battlement, and it is furnished with emblems of Václav IV lands (Luxembourg lion, Czech lion and Moravian eagle, and the emblem of the Old Town on the bridge side; Wroclaw eagle, Czech lion, Lower Lusatia coat of arms, and Malá Strana emblem on the side of the Mostecká Street). The gate was built in 1411 in place of an older, undoubtedly a Romanic building.